When Mom or Dad reach retirement age and are in need of ongoing assisted living services from professional caretakers, it can sometimes be difficult to find the best way to pay for it. But for many seniors who are also veterans, spouses of veterans, or surviving spouses of veterans, the VA’s Aid & Attendance pension benefit can bridge the financial gap to make this kind of care more affordable. Even though around one out of every four US seniors would likely qualify for the Aid & Assistance program, only around one in seven who qualify have actually claimed their benefits. There are two main reasons for this shortfall: lack of awareness that the program exists and being intimidated by the long, complex application process. Not all seniors or even all veterans can qualify for Aid & Assistance, but many do, and since the benefit is often around $2,000 per month, it’s well worthwhile to find out if you qualify. Was honorably discharged from military service. Served 90 or more days of continuous active duty, including at least one day during a time of war. Meets the “countable family income” limits. This is the total monthly/annual income minus unreimbursed medical expenses and certain public benefit payments. Has a medically documented need for assisted daily living, such as help eating, bathing, or getting dressed. Any of the following are also true of the applicant: is 65 or older, is totally/permanently disabled, is currently a patient in a nursing home, or is currently receiving SSDI or SSI benefits. The VA will also take account of the applicant’s total net worth. There is no specific rule here – it goes on a case-by-case basis. A home, car, and basic assets are not counted, but a high total asset value on non-essentials could bar approval for the program. On average, it takes nine months from start to finish to gather all necessary documents, fill out all forms, apply, and finally, receive approval for Aid & Attendance benefits from the VA. The total list of necessary documentation is quite long, including such papers as veteran discharge originals, proof of assets and income, a physician’s note detailing what type of care the applicant needs, or the marriage certificate for a veteran’s spouse seeking benefits. However, this process is well worth it if you ultimately get approved. Monthly benefits for single veterans has a maximum of $1,830 currently, while for a veteran plus his/her spouse, the maximum is $2,170 per month. Plus, you get reimbursed retroactively for the months you spent waiting for your application to be approved. Also note that, if a veteran is approved for Aid & Attendance and then passes away, the application process for his surviving spouse is much shorter – around three months on average. To learn more about the VA Aid & Assistance program, to find out if you or your loved one qualify, or for help and advice on wading through the application process, do not hesitate to contact A Place at Home today! 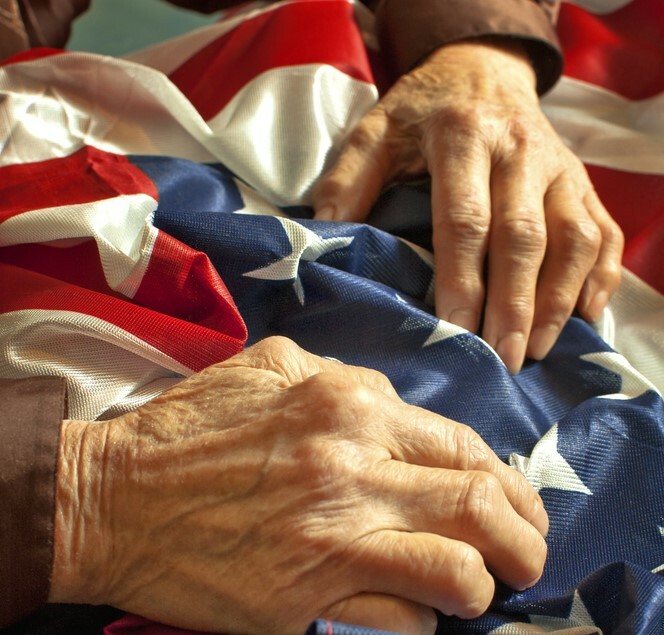 We have in-depth knowledge of this program and of other possible means of securing financial assistance for veterans or for others in need of assisted living care.